The Standing Committee on Finance received briefings from the Department of Finance, the South African Revenue Service and Statistics South Africa on their 2014 Strategic and Annual Performance Plans. The Minister of Finance said the economy was growing at a moderate pace and performing below expectations. The projected growth rate figure would be issued when the Medium Term Budget Policy Statement (MTBPS) was tabled. South Africa had to grow faster in a way that advanced the most poor and eliminated poverty. The SA Revenue Service’s (SARS’s) strategic plan had been developed at a time when there had been a better global outlook. SARS was poised to collect R1 trillion in revenue. Members said the deficit on the current account was a concern. What was the Minister’s view on the balance of payments? Was raising capital for emerging markets a challenge? Members said that transfer pricing with regard to natural resources needed to be looked at, as well as what mechanisms were in place to combat transfer pricing. Members should be updated on the work of the Davis Tax Review Committee. A third issue was what the underlying structural factors were that constrained economic growth. Members wanted to see a greater synergy between the MTBPS and the budget. The Acting Commissioner of SARS said that SARS had been implementing a modernisation programme for the past seven years and taxpayers had reaped great benefits. SARS had started to look at what the next steps in modernisation would be. The slower economic growth forecast was a challenge and would put pressure on projected revenue collection, which was also impacted by the threats of tax base erosion, transfer pricing and profit shifting. In addition, there was a growing illicit economy in smuggled goods and an increasing disquiet regarding government spending. Thus it would be important to maintain and improve the public’s trust in SARS. The new customs bills and the World Trade Organisation trade facilitation agreements would be enacted. The number of tax practitioners had dropped from 38 000 to 14 500. South Africa was part of a group of 40 countries comprising the Global Tax Forum, which were piloting the automatic exchange of information. SARS needed to work hard to improve border management. All legal requirements from the South African side regarding the pilot of the One Stop Border Post (OSBP) were complete. They were waiting for Mozambique to complete their side. The first phase of the automatic tax clearance certificates was in place. The second phase was on the threshold of being implemented. The Minister said the automatic tax clearance certificate would become a continuous state -- not just a “once off” -- and this matter would be brought before the Committee. Members asked how much smuggled goods were getting through the border posts unnoticed. What was SARS doing to share its expertise with other African countries? How much information was received via the Global Tax Forum? What in the Memorandum of Understanding was causing delays in the progress of the OSBP? Members were not convinced of SARS’s commitment to reducing consultancy fees. Did it have a clear plan on how to address the skills shortage? How many vacancies were still outstanding? How was the retention of staff and institutional memory being addressed? What collaboration was there with the SA Police Service on illicit trade? If there was, was it at a high level? Was there any legislation from SARS that had to be prioritised? How much tax was still outstanding from high net worth individuals? What mechanisms were in place to deal with transfer pricing? What was being done to mitigate the risk posed by 20% of SARS senior management being eligible for retirement or coming to the end of contracts in the coming years. Why was Mr Pillay, Acting Commissioner of SARS, still employed in only an acting capacity? The Minister said the volume of national government debt would increase from R1.4 trillion to R2 trillion in 2016/17, which was equivalent to 43% of Gross Domestic Product (GDP). The Director General said there would be reform of the financial sector so that it could be more tightly regulated. Treasury would be implementing an upgrade of the management of the financial systems, which would allow government to manage its supply chain business better. A new office -- chief procurement officer -- had been given an elevated function. Reforms would occur which would centralise procurement to reduce leakage and to save money. Some of the arrangements with BRICS countries would be made priorities -- for example, the establishment of a bank and a pool of virtual reserves. Civil and military pensions administered by the government pension fund would have their business processes re-engineered and modernised. There would be a technical support programme for infrastructure. The government component of a Government Technical Advisory Centre (GTAC) would be concluded and its priorities would be large capital projects. The Department’s vacancy rate needed to be seen in the context of the creation of an extra 50 positions, the bulk of which was in the new office of the chief procurement officer. Members asked what percentage of the budget was used for debt service costs and what percentage of the state expenditure went on the wage bill. Why were municipalities graded only on finance? Was a strategic approach used in the recapitalisation of State Owned Entities, or was it done on an ad hoc basis? Where was the report on SANRAL’s debt? How would the decreased budget of the Finance and Fiscal Commission (FFC) affect it. Had Treasury thought of doing an analysis of the impact of the pension on military veterans? How would the Department ensure alignment of GTAC with Senza Manje? How many pieces of legislation were expected to be brought for processing in the course of the year? The Statistician General said the presentation aimed to give an orientation on what statistics was all about, to present the 2014/15 work programme in the context of Statistics SA’s strategy and to indicate what Statistics SA did and why it was important. Statistics SA was working with the University of KZN on how to embed statistics into the education curricula and had established a centre for statistical exploration at the University of Stellenbosch. Municipalities should start using these institutions and this would result in the intersection of statistics and planning, and result in real change. Statistics SA was running an internship program in which interns stayed for two years. Statistics was a platform for change because it created the conditions for predictability. Statistics SA thus provided statistical information so that the discourse on policy issues could be informed. Members asked whether Statistics SA had statistics on small business and cooperatives which would be of benefit in informing those departments on what the status quo was 20 years ago and currently. Members wanted a session with Statistics SA, the Department of Education and the Department of Social Development (DSD) on how to use statistics to do targeted interventions. They said statistics should be a planning and an oversight tool. Was there any study on the value for money spending of government? Regarding the skills development plan, Members said that university intakes had increased but one had not seen a growth in skills. Statistics SA was asked to identify the mismatch between policy and statistical findings, as it was relevant for all spheres of government. Were Statistics SA’s findings centralised in the Presidency? Did Statistics SA have a retention strategy in place, and how far was it implemented? Members said the presentation was a wake-up call for the Committee, as the Annual Performance Plans of departments should be informed by statistical information. The Chairperson said that the lack of public participation in the budget vote process was of particular concern. The Hon Nhlanhla Nene, Minister of Finance, said the economy was growing at a moderate pace and performing below expectations. The projected growth rate figure would be issued when the Medium Term Budget Policy Statement (MTBPS) was tabled.. The budget was aligned with the National Development Plan (NDP) and the country was entering a new 20-year phase of development. South Africa had to grow faster in a way that advanced the most poor in and eliminated poverty. The SA Revenue Services’ (SARS) strategic plan was developed at a time when there had been a better global outlook. He said SARS was poised to collect R1 trillion. The Chairperson asked that by the following Monday, the Director General reply on what the previous Finance Committee had said regarding the budget. Treasury should report on: the establishment of a procurement office; the implementation and cost of the youth employment tax incentive; sustaining local government finance and its interventions in this regard. SARS should report on the implementation of the automated tax clearance certificate system. SARS, Statistics South Africa (Stats SA) and the Intellectual Property Commission should report biannually. SARS should report on the collection of outstanding taxes, and biannually on the pilot One Stop Border Post (OSBP) project. The Department should reply to Budgetary Review and Recommendation Report (BRRR) recommendations. Mr Nene said they had responded to the above already. Mr D Ross (DA) said there was the challenge of the deficit on the current account to be concerned about. Remarks by colleagues of Mr Nene on land reform and the dilution of property rights undermined the Minister’s efforts. What was the Minister’s view on the balance of payments? Was raising capital for emerging markets a challenge? Mr F Shivambu (EFF) said that the Committee had discussed the previous day that transfer pricing, with regard to natural resources, needed to be looked at, as well as what mechanisms were in place to combat transfer pricing. The Committee also wanted to be updated on the work of the Davis Tax Review Committee (DTRC). South Africa had great mineral wealth, yet the contribution to the fiscus by this sector was not more than R25bn, equivalent only to the education budget of KwaZulu-Natal (KZN). A third issue was what the factors were that constrained economic growth. He did not believe that strikes or global economic conditions were the factors that constrained growth, and he was looking more to what the underlying structural constraints were. Mr Nene said the commitment to the NDP was a government commitment. Foreign investment and domestic investment went hand in hand. The Treasury had received the first report from the DTRC which dealt with small business, and would be receiving one on base erosion and profit shifting. The last report on mineral resources would be out by the end of the year. The Chairperson said he wanted to see a greater synergy between the MTBPS and the budget. 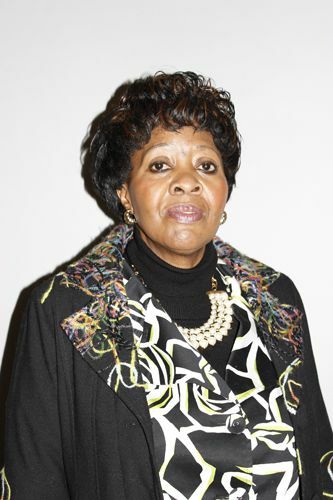 Dr M Khoza (ANC) said it was worrying that banks were getting more involved in less productive activities, such as selling funeral policies, rather than assisting businesses. She was concerned that ordinary people could not afford to buy a house because they did not qualify for a subsidy. Mr Nene said the Deputy President had recently led a delegation which included the banking sector to address the gap market in housing and to ensure that this gap market was also covered. Mortgage default insurance had already gone through Parliament and was intended for this gap market. There were also a number of initiatives government was leading to diversify financial inclusion in the financial sector in general. Mr Ivan Pillay, Acting Commissioner of SARS, said that SARS had been implementing a modernisation programme for the past seven years and was close to the end of that programme, from which taxpayers had reaped great benefits. It had given SARS access to data and they were able to study and identify trends more quickly. SARS had started to look at what the next steps in modernisation would be. It was seeking to strike a balance between education, service and enforcement. Greater attention was being spent on improving the capability of its staff and it was refining its approach to taxpayers, especially that of the small business segment. It was seeking to increase the number of people paying tax and would identify and find those breaking the law, even if it took years and the law breakers turned to lawyers. The slower economic growth forecast was a challenge and would put pressure on projected revenue collection, which was also impacted by the threats of tax base erosion, transfer pricing and profit shifting. In addition, there was a growing illicit economy in smuggled goods and a growing disquiet regarding government spending. Thus it would be important to maintain and improve the public’s trust in SARS. Combating tax avoidance by big companies was becoming highly technical and SARS was usually outgunned by the capability big companies had, as well as their cash reserves. Four companies had been interdicted the previous year with regard to transfer pricing activity and one case had been finalised, with the company in question having to make a payment of an extra R3.5bn. A lot of energy would be spent enacting the new customs bills and the World Trade Organisation trade facilitation agreements would be a huge workload. Through the accreditation process, the number of tax practitioners had dropped from 38 000 to 14 500. To deal with base erosion and profit shifting, there had to be liaison with other countries to exchange information and South Africa was part of a group of 40 countries comprising the Global Tax Forum which were piloting the automatic exchange of information. SARS needed to work hard to improve border management. Regarding the pilot of the OSBP, he said all legal requirements from the South African side were complete, and they were waiting for Mozambique to complete their side. Some of the facilities and activities were already in place. The first phase of the automatic tax clearance certificates was in place. The second phase was on the threshold of being implemented. Some regulations still needed to be changed to allow government to check before payment was made that the entity in question was still tax compliant. Mr Nene said the automatic tax clearance certificate would become a continuous state -- not just a “once off” -- and this matter would be brought before the Committee. Ms P Kekana (ANC) said there had never been a scanner at Beit Bridge border post. How much smuggled goods was getting through the border post unnoticed? Dr Khoza asked what SARS was doing to keep those already in the tax system, especially with reference to small businesses. What was SARS doing to share its expertise with other African countries? Ms S Nkomo (IFP) asked how much information was received via the Global Tax Forum. Ms S Shope-Sithole (ANC) said trucks travelling through Hoedspruit to Mozambique made the condition of the roads terrible. Was enough tax being received from the trucking companies? Mr Ross asked what was problematic in the Memorandum Of Understanding that was causing delays in the progress of the OSBP. Mr D van Rooyen (ANC) said the figures regarding critical skills and consultancy fees did not convince him that SARS’s commitment to reducing consultancy fees was enough. In their plan, the current R238m in fees would be reduced to R205m by 2016/17. This was a reduction of only R32m. What was SARS’s commitment to have the skills that were not there currently? The pace at which the institution was being transformed was disappointing. It needed a clear plan on how to address the skills shortage. How many vacancies were still outstanding? How was the retention of staff and institutional memory being addressed? What collaboration was there with the SA Police Service on illicit trade? If there was, was it at a high level? Was there any legislation from SARS that had to be prioritised? The Committee needed to be briefed on the progress made by the Davis Tax Review Committee. Dr Khoza asked what the footprint of SARS was in the formerly disadvantaged areas. Mr Van Rooyen asked how much tax was still outstanding from high net worth individuals. What mechanisms were in place to deal with transfer pricing? The Chairperson noted that 20% of SARS senior management would be retiring or coming to the end of contracts in the coming years. What was being done to mitigate this risk? What was tax base erosion and transfer prices? It was acknowledged that SARS was a top performer and therefore he would expect SARS to do a bit more to assist the rest of the continent. Was the percentage of tax compliance higher or lower? The Chief Financial Officer of the Financial Services Board (FSB), Mr Seedat, had been accused of irregularities and the response of the FSB had been odd. Could SARS comment on this? He asked the Minister about the appointment of Mr Pillay, who was still being employed in only an acting capacity. The feeling of the Committee was that he should be appointed. Mr Nene said he had written a letter to the FSB to get a full report. He quoted from a statement by the FSB that the FSB was investigating the matter in conjunction with the Auditor General, and that Mr Seedat, the person in question, had resigned as Chief Financial Officer (CFO) two weeks before for doing consultancy work for a company, Africa Cash and Carry, which he had disclosed only shortly before his resignation. This was contrary to FSB policy. The matter was being further investigated by Treasury, as well as by SARS. Once the investigation was complete the Committee would be briefed and the public would be informed. On the appointment of the Commissioner, he said his predecessor had made attempts to finalise the matter, but had run into the change of administration. It was a priority item for him. The DTRC report was focussed mainly on small businesses, and they would inform the Committee as other amendments arose. Soweto had a new SARS branch and the progressive tax system excluded a number of people. SARS needed to identify where taxpayers were located, and SARS also had nine mobile units in operation. The filling of vacancies was difficult because it required scarce skills. When filled, the personnel were open to being poached by the private secretor. Regarding the OSBP, he said a number of other departments had also benefited. On continental interaction, he said South Africa led the African Tax Administrators (ATA) forum and had helped other countries to make progress. Mr Pillay said it was not correct that they were reducing the SARS footprint. It was being increased, with a new branch opened in Soweto and the Umtata office having been refurbished. He said SARS had written to Mr Seedat and they were awaiting his response. Regarding expenditure on consultancy fees, he said it was a matter of the classification of expenses, as half of the funds were for contracts and some of these contacts were for security contracts for their offices and for audit fees. Mr Peter Richer, Strategy and Risk Executive, said SARS had been busy since the previous year with a survey to assess the attitudes on compliance, to find out what motivated compliance. The survey would be done every year and SARS would be developing an index. Mr Gene Ravele, Chief Customs and Border Management Executive, said a mobile scanner had been deployed at Beit Bridge, but for efficiency there would also need to be a strong risk management system in place. SARS played a role in the Southern Africa Customs Union (SACU) which had a trade facilitation program encompassing information technology and the building of capability among member states. SARS had established a customs academy which provided for regional and continental training. SARS was training detector dogs for Mauritius and Namibia, and Kenya also wanted similar training. SARS was not in a position to comment on the road conditions created by truckers. Mr Nico Alberts, Legal Representative, said that transfer pricing was a transaction between two companies that were connected, in which excess fees in relation to value were paid. One needed to do an evaluation of the market to judge whether transfer pricing was taking place. Base erosion was when a company would move its head office to another country to benefit from a more beneficial, or lower, tax structure. Mr Pillay said tax collection effectiveness as measured against GDP, stood at 25%. The tax gap in the developed world was between 5-15%, while in the developing world it was from 15% up. In terms of the benchmarks used, SARS were world class in some benchmarks, but also needed to do a lot of work in other benchmarks. SARS had a graduate scheme where they would take 300 graduates annually. The second and third levels of management had been brought closer to the executive level to broaden the management base. The Chairperson said it had to be acknowledged that SARS was doing a good job. Mr Shivambu disagreed. He said if one celebrated a revenue collector which could not find a mechanism to maximise the fiscal benefits of the country’s mineral resources, then one was celebrating mediocrity. Dr Khoza said the Mr Shivambu had approached the matter from an ideological perspective, while SARS was being judged on what it had set out to do in its plans, and in this regard had done well. Mr Nene said the volume of national government debt would increase from R1.4 trillion to R2 trillion in 2016/17, which was equivalent to 43% of Gross Domestic Product (GDP). Mr Lungisa Fuzile, Director General, said that policies that contributed towards inclusive growth and job creation should be advanced. There would be reform of the financial sector so that it could be more tightly regulated and avoid the type of calamities of 2008/9. Government had some years ago called for the upgrade of the management of the financial systems. Treasury would be implementing systems which had been proven to work globally, and this would allow government to manage its supply chain business. A new office -- chief procurement officer -- had been given an elevated function. Reforms would occur which would centralise procurement to reduce leakage and to save money. Some of the arrangements with BRICS countries would be made priorities -- for example, the establishment of a bank and a pool of virtual reserves. Civil and military pensions administered by the government pension fund would have their business processes re-engineered and modernised. There would be a technical support programme for infrastructure. The government component of a Government Technical Advisory Centre (GTAC) would be concluded and its priorities would be large capital projects. Mr Fuzile said he could return at a later date to brief the Committee on a report which evaluated, in an objective way, the country’s long-term fiscal status. The Department’s vacancy rate needed to be seen in the context of the creation of an extra 50 positions, the bulk of which were in the office of the chief procurement officer. With respect to the stagflation (low growth and high inflation) the country was experiencing, Mr Ross asked what percentage of the budget was used for debt service costs, and what percentage of the state expenditure went on the wage bill? With reference to the Sharemax property syndication case, he asked if a solution to regulate property syndications had been found. Dr Khoza said small rural municipalities, where properties were not rateable, was something that needed to happen if small rural municipalities were to succeed. Why were municipalities graded only on finance, instead of on all the five key areas? Ms Kekana said government was being ripped off in terms of office accommodation rentals. Mr Van Rooyen asked whether there was a strategic approach used in the recapitalisation of State Owned Entities, or was it done on an ad hoc basis. Where was the report on SANRAL’s debt? The Finance and Fiscal Commission’s (FFC’s) budget cut created the impression that its constitutional mandate was decreasing. How would the decreased budget affect the FFC? He did not get the feeling that the military veterans’ pension had had a positive impact. Had Treasury thought of doing an analysis of the impact of the pension on military veterans? How would the Department ensure alignment of the Government Technical Advisory Centre (GTAC) with Senza Manje? How many pieces of legislation were expected to be brought for processing in the course of the year? Dr Khoza asked to whom the interest on large money transfers belonged. Ms Shope-Sithole asked if the Department had a plan to get money returned from those who had misappropriated monies. Ms Kekana said the Committee would like a session with Treasury, where it could be briefed on how the centralised procurement system would work. Dr Khoza added that the legal implications also needed to be explained. Dr M Figg (DA) asked what would happen to local suppliers. The Chairperson said the FFC was not being taken as seriously as it should be by all bodies. Time should be provided for the processing of legislation. Should the role that the FFC played not be reviewed? The FFC had invited the chairpersons of the Finance and Appropriations committees to an intergovernmental conference in August. These chairpersons needed to meet with the Department on the matter of the chief procurement officer because of legislative and constitutional issues. Mr Fuzile said they would forward the list of legislation they wanted the Committee to consider. He said the stock of debt in July 2008 had been R450 to 500 billion, and was now R1.6 trillion. This was no real cause for alarm. He said that to attain economic growth, economic reform was needed. The state wage bill and the public sector wage settlements of inflation plus 1% would not break the bank, but that the scope for government hiring more people was more constrained. On the productivity of Treasury staff, he said this was important but was a Department of Public Service and Administration issue. The rating of properties in rural areas had not been possible because it was fraught with challenges. The Department focussed on finance only, otherwise people might say the Department was straying into their area of concern. Regarding capacity with reference to infrastructure delivery, he said money was lost because of poor planning. Money was taken away from municipalities only if it was not going to be spent, and the Department went through a thorough process before the money was taken. He said the cost of debt was R100 billion (2%) but the figure was not meaningful, given that the debt was inflation linked. On the recapitalisation of State Owned Entities, he said that most of them did not reside in the Department of Finance. Only the Land Bank and the Development Bank of SA (DBSA) were in the Department’s remit. In the case of the DBSA, the government’s investment would be leveraged by a multiple of three, but this was not always the case with all the other entities. SANRAL’s debt was not in the books of the Treasury but was in the budget review, which contained contingent liabilities which government had guaranteed. He said the questions around the FFC were up for discussion. Possible legislation which was being discussed was an amendment to the FFC Act, because a chairperson was also doubling up as an accounting officer. Thus there were instances where, as accounting officer, he was reporting to himself. There was a question of how much value the FFC added currently. He said that perhaps the chairpersons of the Finance and Appropriations committees could ask the FFC to investigate specific tasks. Mr Ismail Momoniat, DDG Tax and Financial Sector Policy, said there were urgent bills, namely the tax legislation and the ‘twin peaks’ regulations, for the Committee to process. He said a new chief director to replace Mr Engel had been appointed. Mr Pali Lehohla, Statistician General, said the presentation aimed to give an orientation on what statistics was all about, to present the 2014/15 work programme in the context of Statistics SA’s strategy, and to indicate what Statistics SA did and why it was important. He said statistics was about possibilities. It was transparent and could be used to make predictions, and it ensured accountability. Statistical results could be read and the options debated, placing statistics at the heart of transformation. The current phase of Statistics SA’s development had seen it look at how Statistics SA’s studies could create possibilities by engaging with policies in the context of the statistics. This would raise questions on how growth and economic development was to be understood. Statistics SA produced 171 products in the area of finance statistics every year, and the fourteen priorities of government needed to find a platform in the statistics for job creation figures and the quarterly labour force studies, for example. He said Statistics SA was working with the University of KZN on how to embed statistics into the education curricula, and had established a centre for statistical exploration at the University of Stellenbosch. Statistics SA had taken 40 people to do courses there. Municipalities should start using these institutions and this would result in the intersection of statistics and planning, and result in real change. He said Statistics SA was running an internship program in which interns stayed for two years. A framework for statistics support needed to be created. Statistics was important for the management of the State, because if one did not have the statistics at hand, one did not have the facts at hand. Statistics had to be embedded in the things government had to do. Statistics was a platform for change because it created the conditions for predictability. He then gave some examples of statistical data and posed questions about what government policy should do, given the facts before it. He said the facts had to transform society. Statistics SA, in other words, provided statistical information so that the discourse on policy issues could be informed. There had been an outcry over the issuing of textbooks in Limpopo, for example, yet there were other provinces that had fared even worse than Limpopo. Statistics SA was promoting the use of information which would lead to the desired outcomes. Mr X Mabasa (ANC) asked whether Statistics SA had statistics on small business and cooperatives which would be of benefit in informing those departments on what the status quo was 20 years ago and currently. Ms Kekana wanted a session with Statistics SA, the Department of Education and the Department of Social Development (DSD) on how to use statistics to do targeted interventions. Dr Khoza said it should be a planning and an oversight tool. Was there any study on the value for money spending of government? She said all Parliamentarians should have a session with Statistics SA. Mr N Gcwabaza (ANC) said, regarding the skills development plan, that university intakes had increased but one had not seen a growth in skills. Mr Van Rooyen asked Statistics SA to identify the mismatch between policy and statistical findings, as it was relevant for all spheres of government. Were Statistics SA’s findings centralised in the Presidency? Did Statistics SA have a retention strategy in place, and how far was it implemented? Ms D Mahlangu (ANC) said the presentation was a wake-up call for the Committee, as the Annual Performance Plans of departments should be informed by statistical information. She said there had been a programme in the Department of Social Development (DSD) called the ‘war on poverty,’ and asked if the information garnered from that programme had been used and if there was co-operation with Statistics SA by that Department. Mr Lehohla said Statistics SA had done a report on small business and cooperatives in 2000 and then one in 2009 also. However, he said statistics were presented only in the way it was done currently by Statistics SA, following the 2011 census. He urged local government to make use of the centre at Stellenbosch University. Dr Figg said Statistics SA should provide information to all committees. Mr Ben Mphahlele, Chairperson of the Statistics Council, said with regard to succession and talent management that it was hard to recruit people with quality skills, and the Council had developed a work programme.